If straightness is of main concern, our straight tracks will meet your needs. This 6.6′ long aluminum track can be jointed to indefinite length. 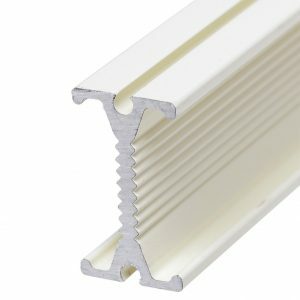 The traditional curtain tracks are a necessity in each and every building to protect the privacy of its inhabitants. Be it your home or your office, the straight curtain tracks help in putting up curtains to stop anyone from outside intruding on your privacy. Doors and Window cannot be kept closed all the time, and even then, one needs their privacy at times if not all the times. Never compromise with the safety in your own place. The straight tracks are as durable as the flexible curtain tracks which can hold 8.8 lbs per foot. You can use the 6.6’ straight tracks to curtain the various parts of your house or workplace. The minimum order is of 3 units of straight tracks of 6.6’ each and you can connect them with easy to adopt yet extremely effective splicer to make as long as you may need, without compromising the smooth functioning of the curtain system. You can have up to 82’ of robust tracks for easy installation all around the home or workplace. The ceiling mounted track systems are easy to install with just standard tools available in a household. You will need 4 rollers per feet to support the load of the curtain efficiently, a ceiling mount cartridge for each 24” of track to support the track on the ceiling evenly, and two end segment cartridges to hold them in place. For each curtain system 2 end segment cartridges are required. So, the number of components required for complete curtain track system is as follows. Number of ceiling mount cartridges = (length of curtain system )/2 give or take some. 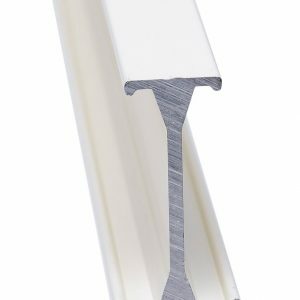 Flex Tracks offers durable straight curtain tracks at affordable prices. It is even more worth the price with its versatile applications. It can even be used for toy train tracks in the house for kids to play. At times, these tracks are also used to move the cameras and lightings in a stage or in a set or a shooting to capture lifelike stories. The superior aluminum tracks have opened up the Pandora’s Box and let the curtain tracks evolve into something much, much more.